If you couldn't tell, L.M. Montgomery is one of my favorite authors. I read a few of hers this summer--one with my daughter, and one just for fun. I've read both of them multiple other times. By the way--do you re-read books? My husband hardly ever does and can't quite understand why I do it. For me, not knowing what's going to happen is only part of the enjoyment of a book. In fact, some of these I enjoy more as times goes on--having read them so many times I'm able to pick out details or nuances I might have missed the first time around. It feels like a visit with an old friend. I would recommend both of these if you're looking to expand your L.M. Montgomery reading beyond the Anne books. 3 stars: Enjoyable, comfort read. One of the few L.M. Montgomery books I hadn't read. It was good, if somewhat predictable. Downtrodden, imaginative, feisty girl escapes from under her grandmother's thumb to good old Prince Edward Island, to spend a summer with her (until-then) deadbeat father. She finds him to be everything a father should be. She blossoms under the influence of Dad's trust, warm friends, and lovely scenery. Returns home to stand up to grandmother. My husband can always tell when I've been reading Montgomery, because I start to say things like "mustn't". Maybe someday I will visit PEI, though in some ways I'm afraid to, since I'm pretty sure it's not the unspoiled landscape from these books. Read aloud with my daughter. Well, we read some parts of it aloud together, then she would read some on her own. This time around, I was a bit more frustrated with Jane's mother, and thoroughly enjoyed Jane's friends. 3 stars: Lovely diversion for short chunks of time. One of L.M. Montgomery's short story collections, taken from stories published in various magazines. The stories run the gamut from playful to heart-wrenching to haunting--mirroring the moods of the sea, perhaps. Quite a few involve romance, unrequited or otherwise: "Fair Exchange and No Robbery" was a bit predictable, but fun. "A Sandshore Wooing" was likewise light-hearted, while "A Strayed Allegience," and "Mackereling Out in the Gulf" had more serious undertones. "The Waking of Helen" was tragic. This one also includes a few that she later rewrote for her novels, but it was interesting to see them in their original form. 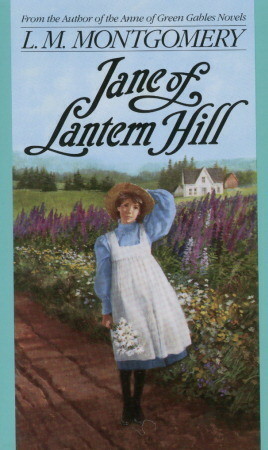 "The Lifebook of Uncle Jesse" was hardly changed at all when she later used it in Anne's House of Dreams; and Paul Irving with his rock people show up in another, though the short story version has a different ending and flavor to it than the Anne version. 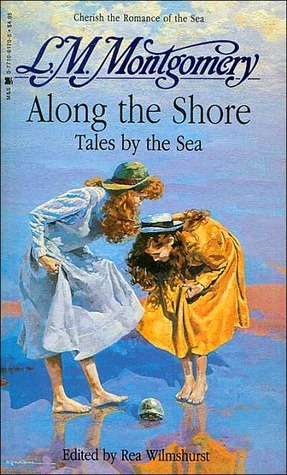 Montgomery's love for the sea shines through all of these stories. 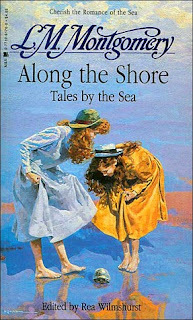 Perhaps "The Magical Bond of the Sea," about the shore girl who has a deeper connection to the shore than even she realizes was somewhat autobiographical. In any case, this is one I enjoyed. Some of our most fun family vacations have been to the coast. This made me want to go back! Which of the non-Anne books by Montgomery are your favorites? There's a whole stack of these short story collections. Have you read any of the others? Fiction is not my genre. I like romantic books and movies. This is will be a great collection for those who really have an interest in this genre. Yes, it was a good one! Thanks for stopping by!